The 2018 Ontario Basketball (OBA) Board of Directors election saw the return of four familiar faces. Incumbent candidates Erica Gavel, Mike Quigley, John Rocchi, and Stephanie Rudnick were re-elected at the 2018 Annual Meeting of Members (AMM) on Saturday, November 10 at Abilities Centre in Whitby. The four members retained their previously-held positions with Rudnick as President, Quigley as Vice-President, Gavel as Secretary, and Rocchi as Director. 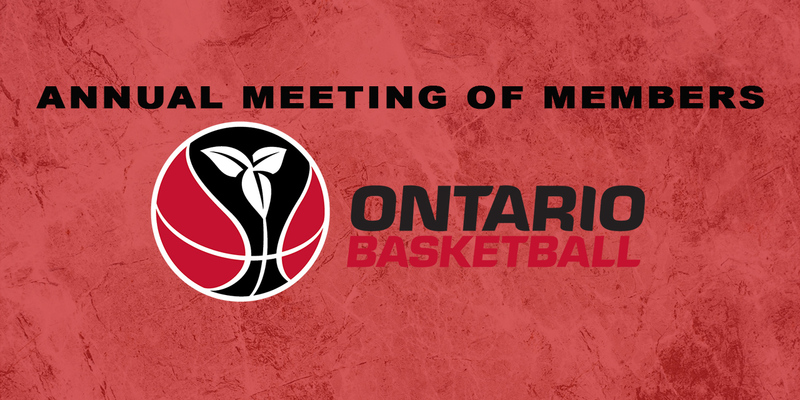 They join Treasurer David Coulthard and Directors Barbara Capes and Claude Nembhard alongside Regent John Lovett and Ontario Association of Basketball Officials’ representative Rick Parnham to form Ontario Basketball’s Board of Directors. In addition to the elections and other corporate governance at the AMM, Ontario Basketball’s Clubs and Competitions Director, Mike Barbin, and intern, Vance Abreu, presented an update on OBA‘s Club Excellence strategy. Barbin first presented the concept to the membership in advance of the 2017 Annual Meeting of Members. Over the last year, a Club Excellence Committee was established and developed the Club Excellence framework, which Barbin and Abreu shared with the membership at the meeting. More information about the AMM, including Club Excellence, is available in the draft version of the 2018 AMM minutes. Ontario Basketball also encourages members to review the 2017–18 OBA Annual Report, which outlines the organization’s activities for the past year and includes the audited financial statements. Written on 2018-11-14, in News.